High quality value ladies softshell jacket, enough to keep you warm. 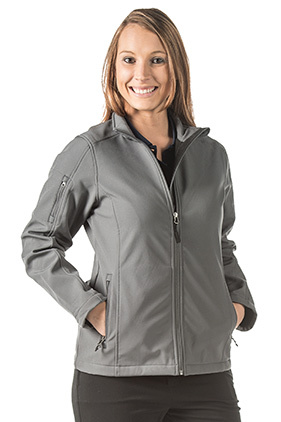 100% polyester, 9 ounce 4-way stretch ladies softshell jacket. Wind and water resistant midweight. 2-way bonded. Center YKK zipper with arm and side zipper pockets & vertical zippered left bicep pocket. Self-cuff and double stitched open hem.